Written on April 19, 2016 . Posted in Announcements + Updates, Fine Arts. 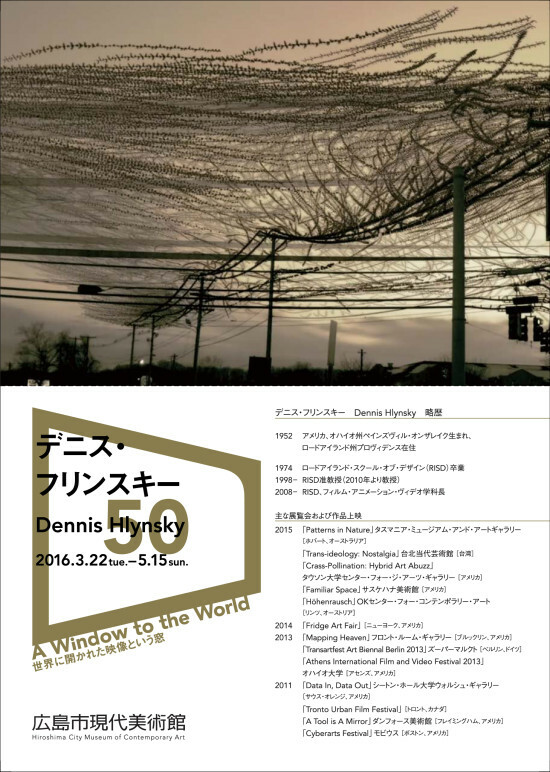 Dennis Hlynsky (Professor, Film Animation + Video) is among a group of video artists from around the world whose work is being featured at the Hiroshima City Museum of Contemporary Art (1-1 Hijiyama koen). Hlynsky has two films featured in the series, the first Fruit Flies Draw a Bowl of Ripe Fruit from Above shows the cumulative paths of fruit flies as they explore a bowl of ripe fruit. The second film Starlings Decide to Change Lines explores the changing travelling patterns of a flock of Starlings.